However, if you are working in the MCA industry, you are aware of the importance of finding clients and building relationships. Fortunately, highly-targeted lists such as UCC leads exist to help you reach target prospects successfully. When planning to launch a merchant cash advance marketing campaign, acquiring useful lists such as UCC leads will help you recognize your target customers and sell more efficiently. UCC lists are records containing important data such as contact information about a business including first name, phone number, address, etc. Generally, the businesses listed are those with low credit ratings and typically new to the industry. Getting a loan from a traditional bank is more difficult for them, which makes these companies your ideal prospects. 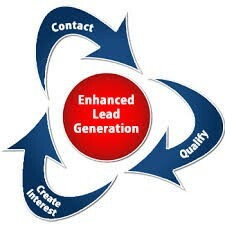 At Merchant Financing Leads, we provide fresh and qualified UCC leads at highly competitive prices. All our UCC leads are derived from the most reliable sources and guarantee the accuracy of the information. We guarantee accuracy up to 93 percent on phone numbers and addresses. With years of experience and knowledge in the MCA industry, we understand fully what it takes to launch a strategic merchant cash marketing campaign. These highly-targeted UCC records can be used for a number of marketing campaigns including telemarketing, postcard mailings, direct mail campaigns, refinancing merchant cash advances and more. Buying our UCC leads will help you identify your target customers and approach them appropriately. At Merchant Financing Leads, our team of experienced and dedicated sales professionals understand your business needs and will devise a marketing plan that helps target customers the best way possible. These UCC records are highly preferred in merchant cash marketing because of the reliability of the data sources and the high conversion ratio. Also, when you purchase UCC leads from a trusted lead generation service like ours, you can be assured of the quality and accuracy of the leads. Do you want to see a boost in your merchant cash advance business? Getting highly-targeted leads lists such as UCC leads from a strategic lead generation service like ours is the best way. Uncertain as to how to start your merchant cash advance marketing campaign? Get in touch today at http://www.merchantfinancingleads.com/.